This article was written by Jolene Almendarez of the Ithaca Voice. The interview with Charles Rody, which was used in this article, was done by Madison Fernandez. ITHACA, N.Y. — Standing outside of Immaculate Conception Church, Rosemarie Bullivant is often the first in line. She waits in line for almost two hours every Tuesday — regardless of rain, snow or heat — to be among the first people to get a numbered ticket for entry into the largest food pantry in Tompkins County. For longtime Ithaca residentRosemarie Bullivant, it’s worth the wait. Bullivant has lived in Ithaca for 48 years. She first started going to food pantries in Ithaca with her mother who helped her navigate the resources for free food in the community. While growing up, she said she was erroneously placed in special education classes by her parents. She doesn’t currently work because she has a disability. Her monthly Supplemental Security Income check, she said, is $750. After paying rent, doing laundry and taking care of a few bills each month, she hardly has any money left. “I’m usually going up Tuesday, I always right on the ball going there at the food pantry I’m always on time to get there. I go there in the morning I wait for a number and I go there (to the) Salvation Army, I go there every month (for the) food pantry and I come here. So I know the routine when I go. I’m used to going with my mom, so I know the days when I come,” she said. Her Tuesday stop at the church is one of her biggest food pick-ups of the week. Inside the Immaculate Conception Food Pantry, located in the basement of the church, long tables are filled with fruit, vegetables, dairy products, meat and a wide variety of bread and pastries. Local farms, grocery stores and gas stations turn over products they have an excess of to the pantry and it adds up. The pantry goes through 130,000 – 150,000 pounds of food per year and serves 120 families per week. Bullivant walks through the aisles, selecting her food from among some of the best products on the table, making the two-hour wait to get in worth it. Her favorite items there are cheesecake and desserts, but she also goes for dairy products, meat, and cereal. The produce, she said, is usually in good condition but is sometimes “soggy” or slightly past their prime. “It’s just whatever it is. It not (always) pretty up to date. It’s just whatever they get for donations,” she said. Four days later, Bullivant is one of the first people in line at the Southside Community Center pantry. The historically black center is a world of difference from the church where the volunteers pray in a circle before the doors open and the line of people waiting to get in stretches the length of a block. Like other food pantries in the county, the one at Southside is its own community. On that particular Saturday, a brunch called the Kinfolk Kickback was happening in the gymnasium and people were playing board games while music blared from speakers. A buffet line of food for anyone to partake in is along one of the walls. The pantry was on the opposite end of the gym where a row of chairs was set up and people waited in line to go toward a small but full pantry located in a walk-in storage closet. 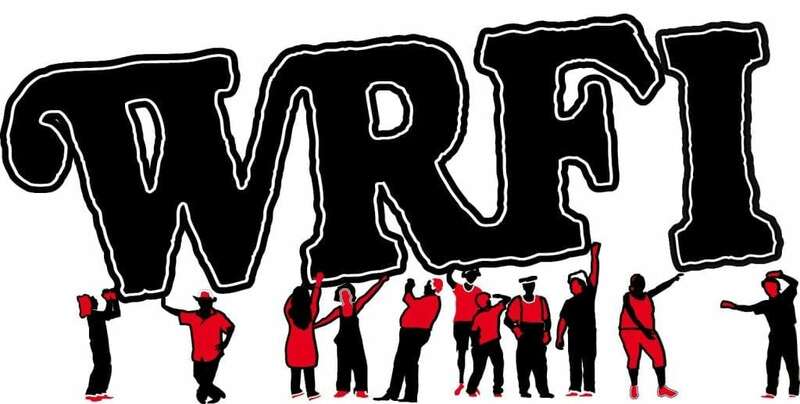 Listen to the WRFI News report here, and read on for more details. Charles Rody, who everyone calls Rody, greets every person there and everybody seems to know him. He’s worked at Southside for 21 years and is currently the recreation and nutrition director there. He was on the ground floor when the Food Bank of the Southern Tier approached the center in 1997, asking if it would be possible to set up a pantry in the center. He was among the people who helped get the idea off the ground. “I’ve actually been working and doing that since then,” he said. Some of his role now includes giving kids at the center healthy food after school and running the emergency pantry Monday through Friday. He said other agencies, such as The Salvation Army, Catholic Charities of Tompkins, and the American Red Cross refer people to Southside during the week. “We’re able to give them an emergency package, which is one bag which has all the tools that will actually hold them over until the next pantry, which we always have the first and the fourth Saturday of the month,” he said. During the usual weekend pantry, Rody said he has seen a lot of the same people come to the pantry over the past 16 years, everyone people living in the homeless camps at The Jungle, community members who need a an extra boost to make it through the week, and elderly people who attend the pantry from the nearby Titus Towers and the McGraw House. But he also sees people come to the pantry from Newfield, Dryden and other rural areas. While they’re not local, he said some people use multiple pantries to get food. He said a lot of the regulars who he has gotten to know often find ways to give back. For instance, they may not be able to spend a lot of money on food, but he would guess that about 20 percent of people using the pantry at Southside give back by volunteering at the center, not unlike his own experience. On the far end of Tompkins County in Groton, a town of about 6,000 people, teacher aid Sherry Saam faithfully heads to the library on East Cortland Street about six days a week with her 11-year-old son Andrew. During a typical visit, she reads the paper, surfs the internet or chats with other people who have made the space like a second home. On Tuesdays, she’s one of the people who gets a ticket to partake in the weekly food pantry. 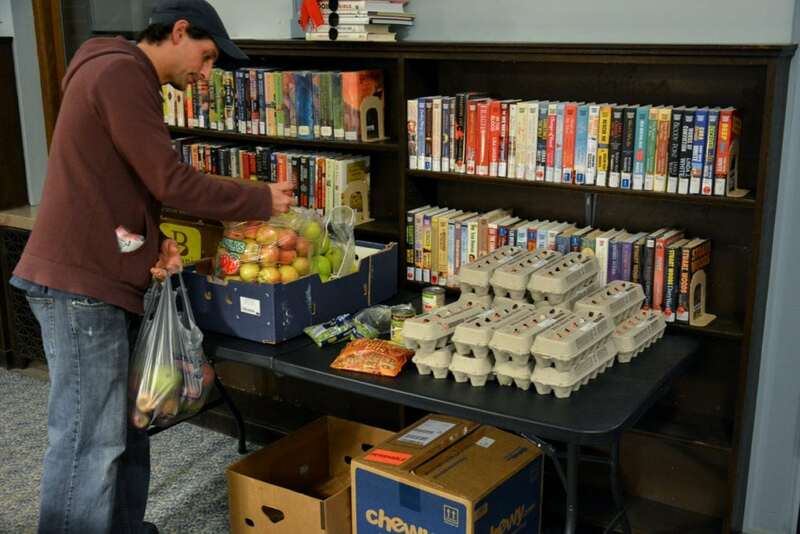 At the library, tickets are issued and people are able to select food from a few tables where bread, fresh fruit and vegetables, and other donated items are spread out. “If you’re at the top of the number list, you make out even better yet,” she said. This week, for instance, she got popcorn, fruit, eggs and salad toppers. While getting into the pantry late doesn’t mean getting turned away — there’s always food — it does mean picking over whatever is left after other people have gone through the line. She, like Rosemarie Bullivant in Ithaca, prefers to have one of the first chances to select food. Saam said that for her, the food pantry supplements her usual grocery shopping. She usually shops at the Cortland Walmart, located about 10 miles away. Every once in a while, makes it to Ithaca where she does “treat shopping” at the Wegmans bakery and enjoys a pre-made meal with her son. There’s not grocery store in Groton. In a pinch, however, she’ll buy a few kitchen staples at the Family Dollar Store on West South Street. It’s the closest thing the small town has to a grocery store, though she occasionally also buys a few quick items at the 7-Eleven and a few gas stations. But she tries not to use the corner stores and gas stations, she said, because they’re too expensive. 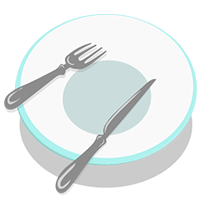 Saam started using the food pantry at the library about two years ago and said it is the little bit of help she needs to get healthy food on the table. When she goes, she looks for items she can use to make complete meals or snacks with items she already has at home. “It tides you over until the next week,” she said. The variety of items varies from week-to-week. During the summer and fall, she said, that’s when there is the most variety. Fresh peas, lettuce, green beans, and her favorite, zucchini. Saam said that between the food pantry and library cooking programs — how to cook meals in a crock-pot, cooking with uncommon food items, and children’s hands-on cooking demonstrations — she’s able to make ends meet. She, and other people who regularly go to the library, usually talk and partake in the classes. “You may not know them personally, really know them, but it’s part of your little group here, your library family,” Saam said. But she knows a lot of people who have fallen on hard times or are just “average people” who she knows could need the extra help. Saam said she has a friend, for instance, who regularly goes to the Immaculate Conception Food Pantry in downtown Ithaca. Editor’s note: Next Friday, Feeding Tompkins will not be published due to our collaborators at Ithaca College being on spring break. Look forward to pieces on local resources on March 23. Correction: This article has been updated to accurately reflect the amount of food distributed by Immaculate Conception Food Pantry.